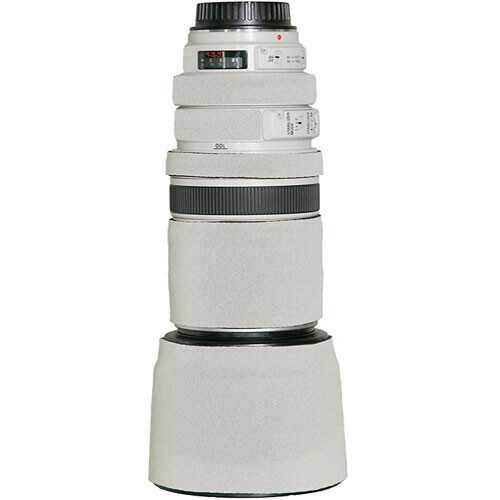 The canon white Lens Cover for the Canon 100mm f/2.8 Macro Lens from LensCoat is a 100% closed-cell neoprene coat that protects the lens from bumps and scratches. It is ideal for nature, outdoor photographers, sports shooters and photojournalists. It also provides a thermal barrier, protecting your hands from cold lenses in lower temperatures. The cover is waterproof, providing protection in inclement weather. It is easy to install and remove, leaving no residue on the lens. This cover will also help you preserve the resale value of the lens by protecting it from dust, dirt and other contaminants. This version is all white and blends in well with snow or sand. Box Dimensions (LxWxH) 9.0 x 6.0 x 0.02"